Hear that? Christmas is just around the corner. Time to do a quick mental calculation and figure out if you're going to end up on the naughty or the nice list. Get in your last-minute good deeds now, because there are a number of items car-lovers are definitely going to want on their list this year. Gadgets have been integrated into almost every aspect of car ownership and driving. They do everything from help your vehicle run better to keep you and your passengers more effectively entertained. Here are some of the coolest car gadgets – just be sure to leave some extra cookies and milk out for Santa. Who hasn't wished they could start their car while they're finishing breakfast, giving the heat time to kick in so you can climb into a cozy ride for your morning commute? Remote starters have been a popular gadget for years, and the market seems to be exploding. The big name in this sector is Viper, a company that has manufactured an array of remote starters at varying price points depending on your budget and which features you want. For around $200, you can pick up a system that will let you start your car remotely from up to a mile away. This technology has even been updated for the digital age. Viper recently launched its SmartStart app. This program integrates with a remote starter to let you control it directly from your smartphone. On-board Wi-Fi lets you bring the Internet with you, wherever you go. Mobile technology has become so ubiquitous that Wi-Fi hotspots have begun cropping up in public places and businesses to accommodate a convenience-happy customer base. Even airlines have begun providing wireless connectivity in mid-flight, so it stands to reason that car manufacturers would follow suit. Audi became the first to offer Wi-Fi in its vehicles, and in 2011, the manufacturer teamed up with telecommunications provider AT&T for faster and more reliable service. Since then, other manufacturers have followed suit. Autonet Mobile is making a splash as a provider of aftermarket mobile modems that can be installed in any car to create a Wi-Fi hotspot. The Autonet router retails for $345, and users can buy data packages of 1 gigabyte per month for $29.99 or 5 GB per month at $59.99. 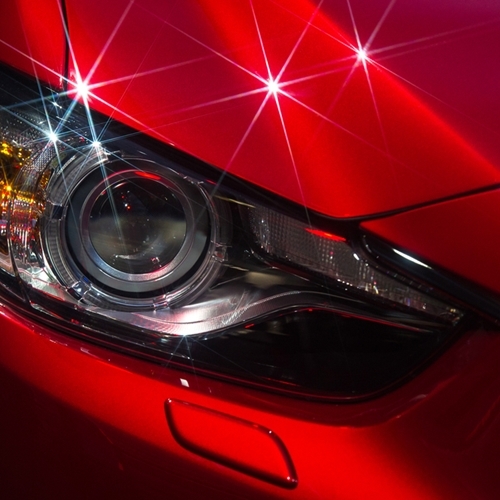 You're proud of your car, and you want to keep it looking its best. That can be especially hard to do in the winter when snow, ice and salt can wreak absolute havoc on your windshield. It may seem like a small thing, but a portable window-washer can make keeping your car clean so much easier. The tiny Karcher WV2 Window Vac is a battery-powered window cleaner that not only lets you clean your windows whenever you need to, but to do so quickly and effectively too. The WV2 runs off of a rechargeable battery. 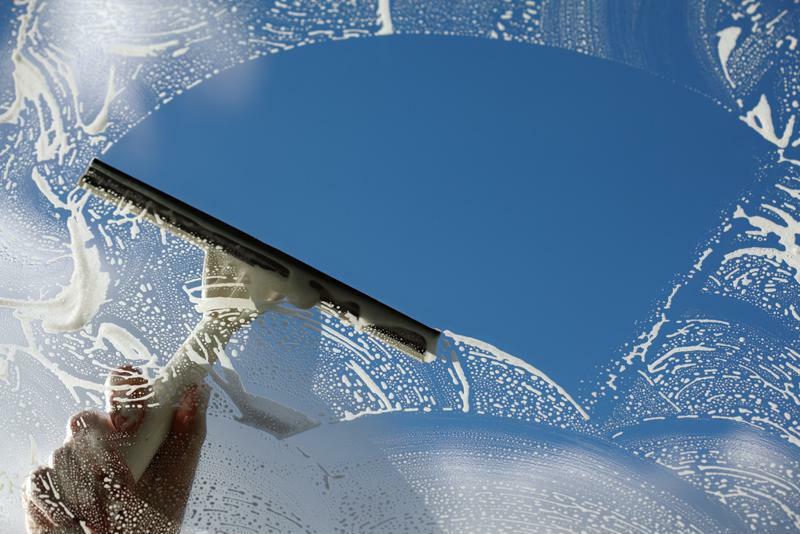 It works by using suction to pull in dirt, water and cleaning solution from your windows for a one-swipe cleaning job. The battery lasts for around 25 minutes on a single charge. 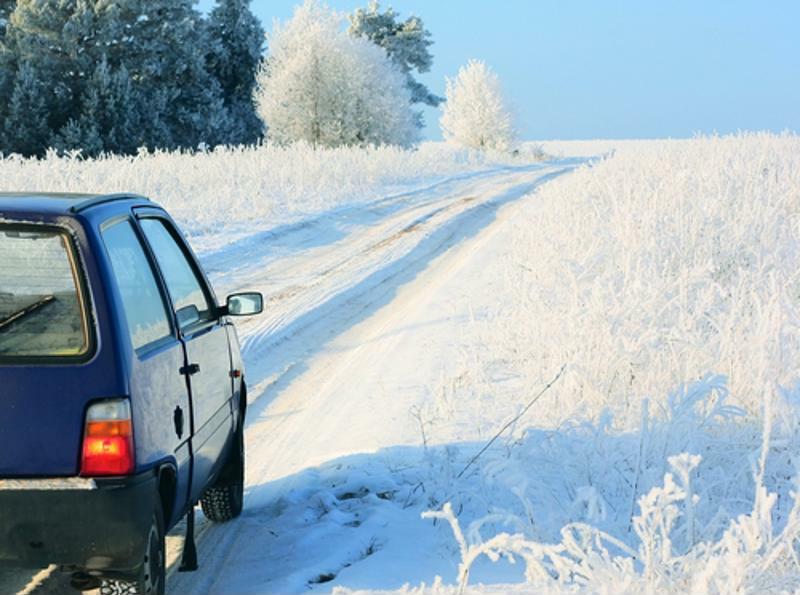 "Winter driving is stressful enough without having to worry about dealing with a dead battery." Winter driving is stressful enough without having to worry about dealing with a dead battery in the middle of a snowstorm or deep freeze. Even though you're careful to pay attention to your interior lights and other battery-draining features, mistakes can still happen. A portable jump-starter can grant you an extra bit of peace of mind in the winter months. The Stanley Portable Jump-Starter can provide you with 500 amps of power – enough to get your vehicle back on the road in an emergency situation. With its included air compressor providing 120 p.s.i., this device can even serve as an all-around safety must-have. Believe it or not, your car talks back to you – you just have to know how to understand what it's saying. A digital diagnostic readout can help you interpret common alerts, like the infamous check-engine light, so you know what you're dealing with. Some models, like the CarMD that retails for $70, can even connect you to a website to help explain what the diagnostic codes mean. It even provides model-specific suggestions based on your circumstances. If you want to give the gift of a high-quality used car this year, head to NJ State Auto Auction. You'll find hundreds of Carfax-certified cars, and the friendly and helpful staff are always on hand to help you select the vehicle that's right for you. Christmas is more than presents and a big family dinner. There's something about this time of year that sets it completely apart from the other 11 months. Of course, that may also just be the Christmas lights. Holiday decorating is almost as big a tradition in the U.S. as gift-giving is, and it's easy to see why. A creatively-lit house or cozy-looking suburban footpath can instantly transform people from the world of their mundane concerns to one of seasonal magic and enjoyment. In fact, driving around to spot lights, holly, decorations and snowy courtyards is a favorite pastime for many families. If you can't seem to deck the halls hard enough and want to hit the road to see the merriest cities in the country, keep these destinations in mind. It should really come as no surprise that the nation's capital is a city to reckon with when it comes to spreading holiday cheer. While the townhouses and iconic brownstones of D.C. itself may very well house residents who like to go all out with lights, the real appeal can be found at the Smithsonian. Each year, the National Zoo holds its Zoolights festival – an aptly named celebration that combines the radiant joy of holiday decorating with the fascination of the animal kingdom. Some 500,000 LED lights adorn the zoo, and light the way for visitors who want to take a ride on a solar-powered carousel or visit the nocturnal animal exhibits. 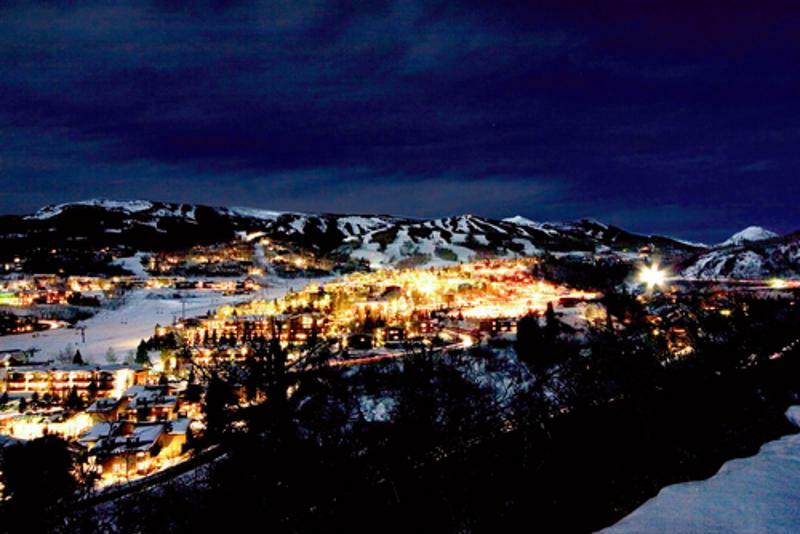 Aspen is one of the most festive cities in the country. Santa is hands down the biggest celebrity of the season, but with his famous workshop sitting way up at the North Pole, chances to visit his wintry home aren't exactly frequent. Fortunately, travelers can see the next best thing: Aspen, Colorado. The skiing resort town has an undeniable charm to it that just screams holiday spirit during the winter. Walking along the snow-covered and lantern-lit Cooper Ave. is like taking a step back in time. But don't lose yourself in too much thought, or you may miss out on the many cookie exchanges and public s'mores roasts. When you're finished taking in the crisp Colorado air, you can retire to the Hotel Jerome, which regularly hosts carolers in its lobby. Christmas and Macy's department stores go together like milk and cookies left out for Santa. But while Macy's has many stores all over the country, you could argue that "the" Macy's is in Philadelphia. Since 1956, Macy's has offered its famous Christmas Light Show to guests, who are treated to a 100,000-LED spectacle that spans four stories. Christmas trees, reindeer, ballerinas and toy soldiers all make appearances as the show walks viewers through a delightful Christmas tale narrated by Julie Andrews. The show ends with a bang – or rather, with the 287-ton Wanamaker Organ playing its rendition of "O Tannenbaum." "Richmond's Tacky Lights Festival has been running for 26 years." 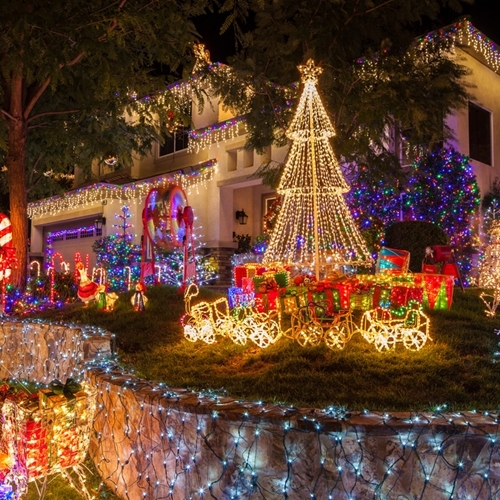 Some people love Christmas lights, while others may find them garish and tasteless. It turns out that many of the residents of Virginia's capital take both stances. Every year, the city hosts its Tacky Lights Festival, which has been running for 26 years. The Richmond Times-Dispatch publishes a list of some of the most elaborately and creatively lit houses in the city, turning the town's residential streets into makeshift sightseeing tours and parade routes. Perhaps the best part is that anyone who wants to can take part in the unofficial "competition" that the festival is based on. But you'd better be ready to compete with the big players – to be eligible for festival inclusion, your display has to boast a minimum of 40,000 bulbs. Those light-chasers who make it all the way down to Branson, Missouri, will find that their efforts were well worth the trip. The tiny town is host to its annual Old Time Christmas festival at its trademark Silver Dollar City. Not only is there live music and a nightly parade, but visitors can feast their eyes on 1,000 decorated trees covered in a total of 5 million – yes you read that right – bulbs. 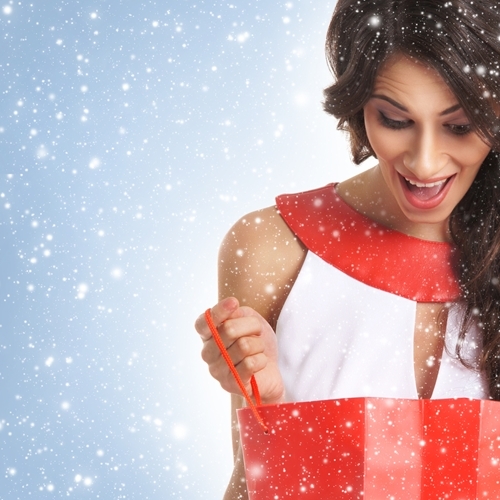 Spread holiday cheer this season by heading to NJ State Auto. You'll find hundreds of Carfax-certified cars on the lot, ensuring that you'll find the vehicle that's right for you with financing options that fit your lifestyle. 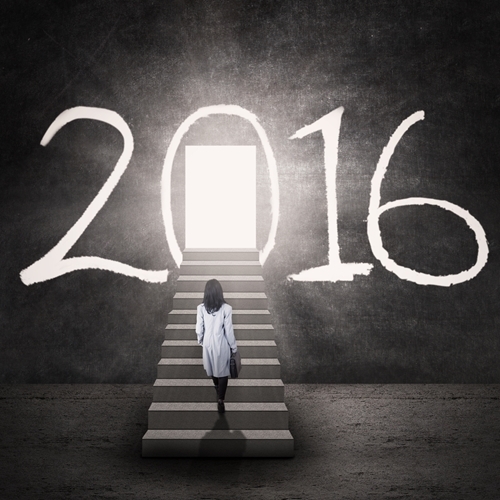 As the end of the year approaches, we start to think about what we'd like to change for the coming months. New Year's resolutions have been a part of American culture for decades, and every January, people across the U.S. vow to hit the gym, fix their budget or toss out the junk food. But we all know that making these promises to yourself is one thing, but keeping them is something else all together. Since it's so easy to fall off the wagon with the standard resolutions, why don't you look to your car for inspiration? After all, your car is an important part of your life, and you want to take care of it. Here are some things you can resolve to do in the new year to properly show your appreciation for the ride that has served you so well. Taking proper care of your car may mean you'll be seeing more of these guys in the new year. Basic maintenance doesn't have to be complicated, but it does require you to adhere to a schedule. Busy lifestyles may mean that you end up pushing back that oil change a week or forget to bring your car in for a tune-up, but these are the habits you should break in the new year. Winkler Automotive noted that being conscientious of your car's various fluid levels is essential for the longevity of your vehicle. The most important one of these is your motor oil. You don't need to stick to the outdated doctrine of changing it every 3,000 miles, but you should still be changing it every 7,000 miles. One way to make this easier is to designate one day each month to check your various fluid levels, and top any off that need it. You can probably do your oil and coolant yourself, but if you're unsure about your brake or clutch fluid, a trip to a mechanic's may be in order. Cutting back on your car's gas-guzzling is good for both the environment and your wallet, making it a double threat that's hard to ignore. Luckily, many newer cars are designed with more efficient engines or even hybrid engines, helping you get the most out of your gas dollars. If you have an older car, there are still things you can do to improve your fuel efficiency. Refrain from slamming on the accelerator, as that can eat up a bunch of gas. Green Living noted that aggressive driving can burn gas at a rate that's 35 percent faster than more conservative and defensive driving. It's true that it's what's on the inside that counts most, but that doesn't mean you can neglect the body as well – that is, your vehicle's body. Your car may take a beating from its environment. This is especially true in winter, when snow and salt can stain your wheel wells and undercarriage, and can even cause rust and corrosion. Come January, have your car's body inspected so any dings, dents or paint scrapes can be taken care of. "In 2012, 3,328 people were killed in distracted-driving accidents." Life may be fast-paced today, but even if you're always on the go it's important to remain safe. Cell phones and cars still have a tenuous relationship. In many states, texting or talking while driving is enough to warrant a moving violation. If that's not enough to convince you, the U.S. Centers for Disease Control and Prevention reported that in 2012, 3,328 people were killed in distracted-driving accidents. Phones are particularly dangerous because they include all three types of distraction outlined by the CDC: visual distraction, manual distraction and cognitive distraction. This is why hands-free phone kits aren't an effective solution – even if your hands are free and your eyes are on the road, you're still not giving your full attention to driving. If you resolved to buy a high-quality used car this holiday, consider NJ State Auto. With hundreds of Carfax-certified cars on the lot, you're bound to drive away in one that's perfect for you. As we get ready to count down to the new year, it's time for us to reflect on the one that has just passed. As we contemplate our successes and failures, it's also a great opportunity to reflect on how the year has been for used cars. Whether you're interested in a top-of-the-line quality ride for yourself or are more swayed by the budget-friendly vehicles, there are plenty of options if you're shopping for a used car. But you don't want to make any rash decisions without having as much information as possible. Here are some of the standout used cars from 2015 so you can end your holiday shopping with a new gift for yourself. "You can drive away with a dependable car that you can count on for years to come." The biggest draw of used cars for many motorists is the potential for savings, and with good reason – if you know where to look, you can drive away with a dependable car that you can count on for years to come, often for less than what you would pay for a comparable new model. While used cars generally tend to be more wallet-friendly, here are some of the most frugal rides from this year. You wouldn't normally think of a luxury car when you're considering low-cost options, but that's just one of the ways that the '05 S60 surprises you. This is a great model for those penny pinchers who nevertheless want to add a touch of class to their daily commute. Kelley Blue Book reported that the Volvo S60 boasts fairly average gas mileage, with 19/27 m.p.g. city/highway, but the real prize here is the low cost. At a suggested retail value of $4,100, savvy car buyers could drive away in one of these for as little as $2,700 and still pay a fair retail price. With gas prices being as high as they are, you likely want to do everything you can to reduce the amount you pay at the pump. Older cars tend to be somewhat less fuel efficient than their more recent cousins, but in the instance of the 2004 Prius, this isn't the case. The Prius was a pioneer of the hybrid car trend, and with good reason. Kelley Blue Book noted that the car is capable of 45 m.p.g. on the highway, and a whopping 48 m.p.g. in the city. You may pay a bit more up front, with fair market price ranging from $4,800 to $6,700, but you'll be saving much more on gas in the long term. "Your budget is important, but you can't put a price on safety." Your budget is important, but you can't put a price on safety. Fortunately, with the cars on this list, you won't really have to. Here are some used cars you can purchase that can give you extra peace of mind. This is especially important for parents who are looking for a used vehicle for their teen drivers. The Focus has a reputation as something of a hip car for cool younger drivers, which will make it appeal to first-timers and teenagers. Fortunately, this cool factor doesn't come at the cost of safety. Consumer Reports noted that the Fusion is an excellent choice for new drivers, as its seats are high enough to provide a clear view of the road well in front of you. It also comes with the ability to sync Bluetooth devices for hands-free driving, which is a must in the age of text messaging. Consumer Reports indicated that the Fusion starts at $6,050. The Jetta is the first car of many a driver. That's because it balances performance, reliability and safety, for a price that isn't prohibitive to teens and parents. While the base model Jetta features a 5-cylinder engine, Consumer Reports recommended opting for the 4-cylinder variety. The car will still have plenty of pickup without the added noise. As a bonus, the Jetta also comes in an optional diesel model, which can pay dividends when it comes time to fill up at the pump, since you'll be netting an average 34 m.p.g. The Jetta is a bit pricier at a starting price of $7,250, but it's a good investment. Can Your Used Car Handle a Jersey City Winter? It seems like we’re in for another brutal winter here in New Jersey, but as we all know, garden state residents are undeterred by snow, ice, or cold. A state with just about every weather extreme requires knowledgeable drivers that can handle it all. That’s why we’ve put together some tips for winter driving, straight from the staff at our Jersey City used car dealership! Take a look at this advice and make sure you’re prepped for winter. There are some steps that you should take before winter hits. 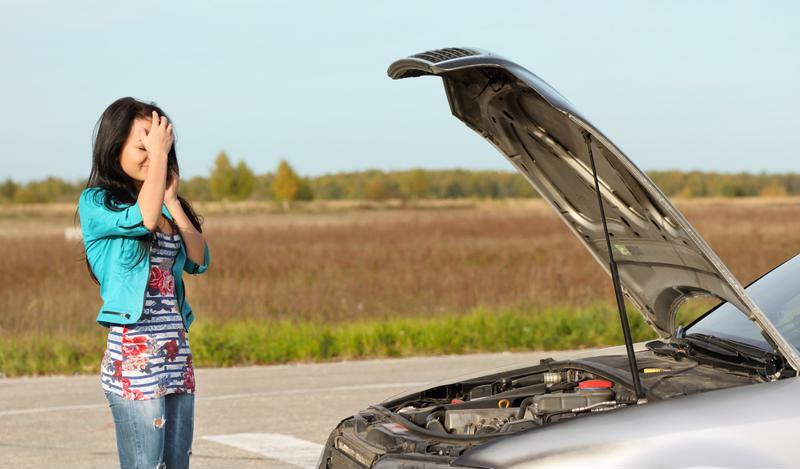 First, make sure the vital components of your used car are in top condition. This includes making sure the tires are fresh and have enough tread to make it through ice and snow- if not, take it to our Jersey City used car repair center and we’ll be happy to replace them or even install winter tires. Factors such as oil levels, battery condition, and windshield wipers are all things that can affect the quality of your ride this winter. Once the weather outside is frightful, try your best to stay inside or at least off the road. However, if you do need to head out, there are some precautions you need to take before you leave your parking space. First of all, warm up your car to keep it efficient. 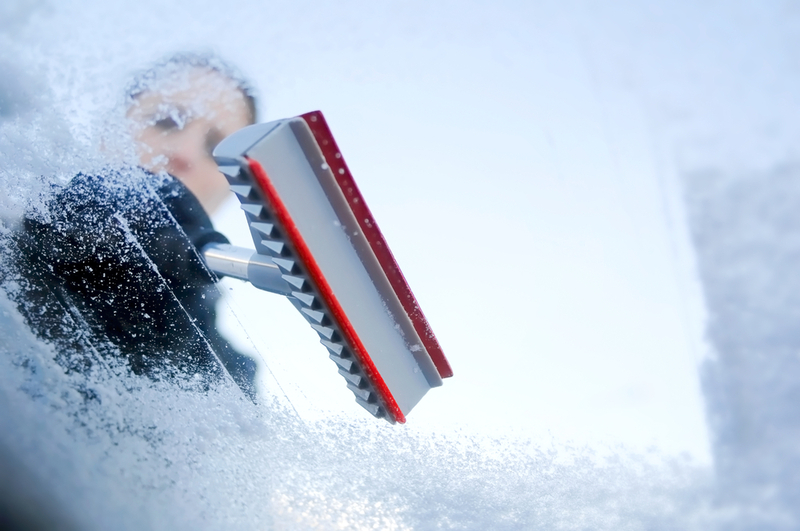 To pass the time while it warms up, clear the ice and snow off your car and, if needed, dig out your wheels. As a reminder, it is illegal to drive a snow-covered car in New Jersey, so make sure it’s clean- especially the roof, where the snow can fly out and hit the vehicle behind you, obscuring their vision and creating a dangerous situation. Many people are intimidated by driving in the winter, but with the proper technique, the mystery evaporates. Approach with caution, heightened awareness, increased concentration, and with less speed. If you lose control of your car and start to skid, steer in the direction you want the car to go and keep steady but light pressure on the accelerator. 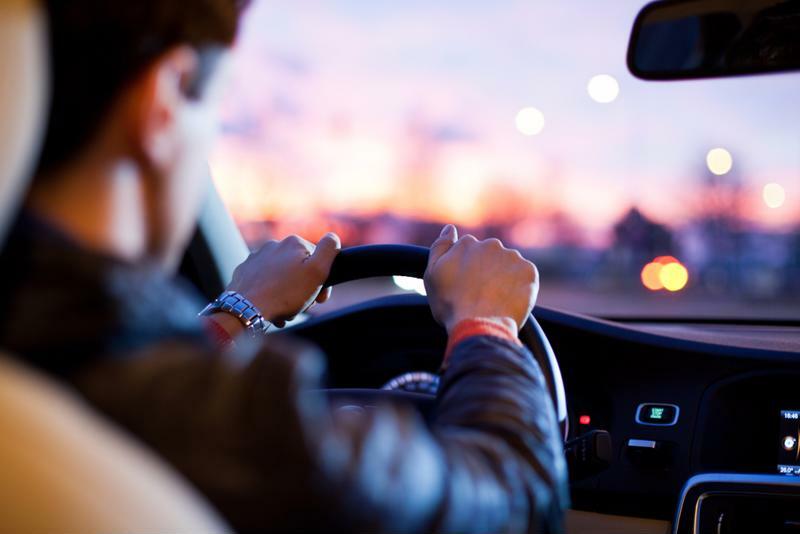 This advice flies in the face of the “steer into the skid” instructions some drivers receive, but it is the best way to regain control of your vehicle. If you want to make sure your vehicle is winter-ready, visit our dealership. Our service technicians will give it a thorough inspections to make sure everything is in working order, ready for inclement weather. Posted in Uncategorized | Comments Off on Can Your Used Car Handle a Jersey City Winter? Tis the season when snowfall transforms the landscape into a winter wonderland. But while skiers, sledders and snowman aficionados are all welcoming the wintry precipitation, drivers may not be quite so happy to see all the snow and ice. The season's precipitation and sub-freezing temperatures can create all manner of driving hazards, whether you're on the highway or on local roads in the middle of your town. Staying safe is just as important as getting to where you need to go, so consider these tips this winter. "Your car needs more battery power in winter than in the summer." 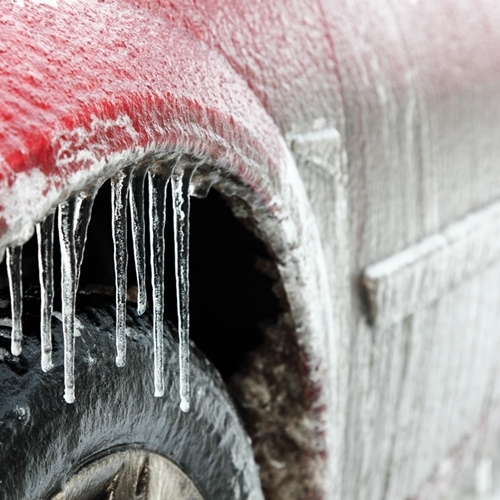 Winter weather can be harsh on your car. There's nothing worse than being stuck on the side of the road in a snowstorm or in freezing conditions because your engine is frozen or your battery is dead. Get a head start on avoiding these potential problems by making a trip to your mechanic's shop at the beginning of the season. 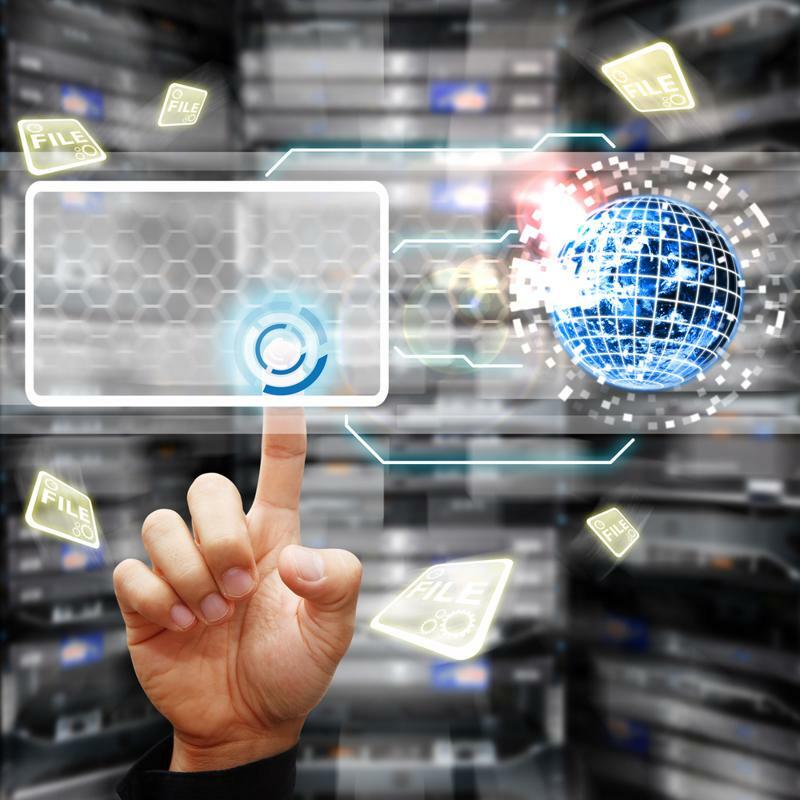 In particular, you want to pay special attention to your battery. Car Talk noted that you actually need more battery power in winter than you do in the summer. This is because your motor oil is less fluid in the freezing temperatures, meaning you need more power to get the engine started. Additionally, the colder the weather, the less power your battery will generate. If your car battery is old, consider replacing it with a larger, more powerful version to avoid being left out in the cold. Also remember to keep your antifreeze topped off in your engine. The best ratio of water to fluid is actually 1:1: Opting for 100 percent antifreeze in your engine actually is less effective than this ratio. You know the importance of using good winter tires in the cold season, but it bears repeating because it's so important. 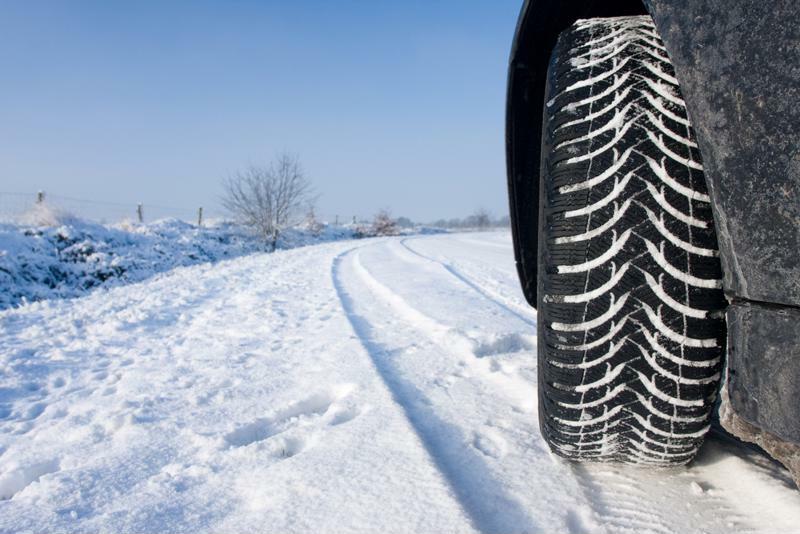 Even in parts of the country with milder winter weather, you want to use winter tires instead of all-weather radials, since they have much better traction and hold up better in cold conditions. According to Edmunds, your tread needs to be at least 6/32-inches deep to maintain the best level of traction in snow or on ice. Careful driving is obviously a must for any time of year, but it's absolutely essential in the winter. Snow storms can reduce visibility to almost nothing, effectively eliminating your response time in the event of a potentially accident-causing occurrence like a car stopping short in front of you or an animal darting out into the road. On top of the reduction in visibility, winter is the season when black ice comes out. This dangerous driving hazard was responsible for 458 traffic fatalities in the 2009-2010 winter season, according to IcyRoadSafety.com. Keeping a slower speed on icy roads can give you more time to spot this danger, and may help reduce the loss of control you experience when you hit a patch. If you do find yourself skidding out thanks to black ice, stay calm. Press down on your brakes as firmly as you can and keep your foot there. You'll feel the brakes pulse automatically as the ABS cycles, helping you regain control. Ensure you have an emergency kit in your car during the winter. Even if you follow the above advice to the letter, there's still a chance that you could find yourself in an emergency situation. Create an emergency kit and keep it in your car in case you get stuck on the side of the road. Include items like a blanket, a flashlight, a first-aid kit and flares or reflective triangles. Also ensure you have bottled water and a small supply of nonperishable food, as well as a charger for your cellphone and jumper cables for your car, if needed. If you need a car to see you through the holiday travel season, head to New Jersey State Auto Auction. You'll find hundreds of Carfax-certified cars on the lot, and a helpful and knowledgeable staff ready to assist you in finding the perfect high-quality used car. There's nothing better than driving around in a freshly washed and detailed car. Unfortunately, sometimes Mother Nature doesn't care that you just spent your time and hard-earned cash giving your car a bath. Instead, she throws mud in your path or even introduces a bird to your windshield. Regardless of the fight you put up with the environment over having a clean car, it's just not practical to give your ride a thorough wash multiple times in the month. For those who still want a shiny, clean car no matter what the circumstances may be, there are plenty of other water-free options. Here are a few ways to clean your car without washing it. Cleaning your windshield alone can make such a huge difference, especially if it's visibly hazy. Not only is keeping your windshield clear a huge safety factor, but it also makes your car sparkle, which allows you to feel a lot better about its appearance. Taking your car to the gas station to clean your windows is extremely easy, but you can make it even simpler on yourself by keeping glass cleaner in your car. Also, leave a roll of paper towels or a microfiber towel in the trunk for convenience. Edmunds suggested investing in a squeegee for cleaning purposes as well as removing dew from your windshield in the morning. Consider investing in a squeegee for streak-free windshield washing. If your car's looking spotty but it's not worth giving it a thorough wash, consider trying a car surface cleaner. Bankrate said using a waterless car-wash product is a great way to get your car spotless with minimal time and effort. Liberally spray the cleaner all over your car and use a microfiber towel to wipe away the grime and dirt. Start at the top so the dirt works its way down and falls off the car. Once you have finished the cleanse, wipe the car with a dry towel to get rid of any leftover moisture. Your car will sparkle and shine, casting the illusion that you just came from the car wash.
"Shake up the floor mats for a quick and easy improvement." It doesn't matter what season it is – dirt, leaves, gravel and everything in between always seem to find a way onto the floors of your car. If you don't have the time to vacuum out the interior of your vehicle, simply shake out the floor mats into the grass. This is an easy and effective way to make a huge difference in your floor's appearance. When it comes to keeping your car clean, the interior's look makes an impression, too. Empty out the trash you may be hoarding in your car and leave a small bin or bag in the backseat for future use. This can help minimize how much garbage you leave in your car and can help make space for useful precious cargo. After you've de-cluttered the cabin of your car, Edmunds suggested buying a deodorizer to eliminate any odors left over from the trash. This will also help maximize the feeling of cleanliness. If you're looking for a high-quality used car to keep clean this season, check out NJ State Auto Auction. There, you'll find a lot full of Carfax-certified vehicles to choose from, giving you plenty of options for finding the perfect car for you. Unfortunately, owning a car can be pretty pricey. Having insurance, filling it with gas and keeping it in great shape throughout the year all come with an expense and sometimes, the rates aren't exactly reasonable. 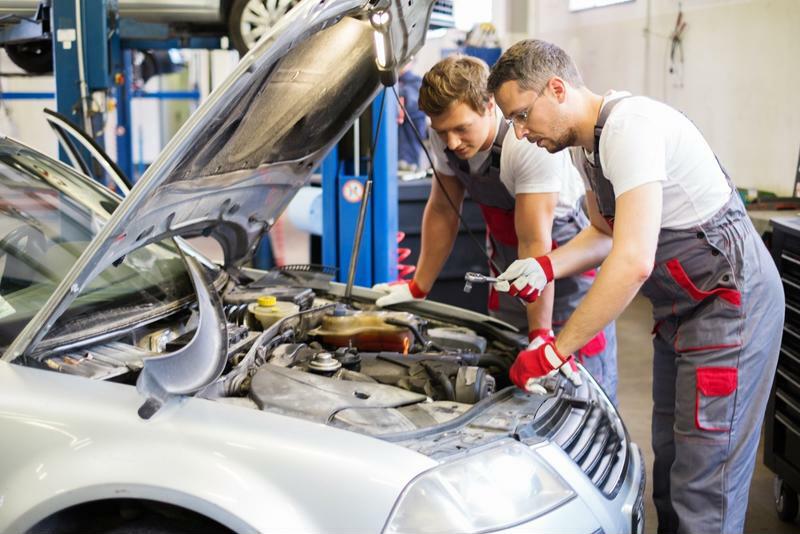 Although some car maintenance needs the craft and skill of a car mechanic, there are actually quite a few ways to keep your car maintained on your own. Giving your vehicle routine maintenance checks is extremely important, but it shouldn't have to cost you an arm and a leg. 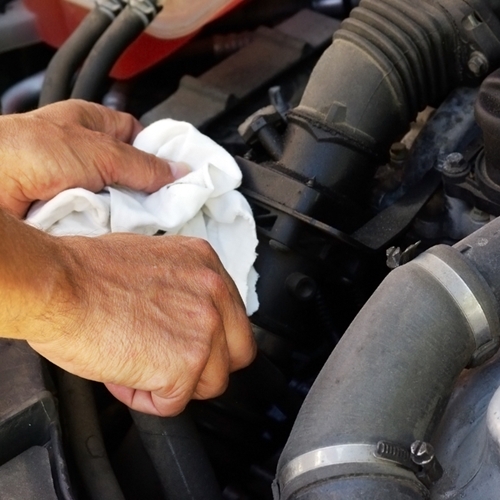 Here are five easy car maintenance services you can handle on your own. Edmunds said this maintenance routine is usually combined with another service at the mechanic's, but the task alone can cost an estimated $22-$30. You can save yourself 100 percent of that money by taking your car to a gas station and filling your own tires, where air is usually free of charge or only costs a few cents. You only have to worry about checking your tire pressure once a month and it takes about 15 minutes. If you've ever taken your car to the shop and they've offered to put in new windshield wipers with no installation fee, it probably came with the catch of only having one option for wipers – that being the very expensive one. According to Money Crashers, this maintenance service can cost between $10 and $20 if you do it yourself. The set up can vary between different cars, so make sure to follow your owner's manual. 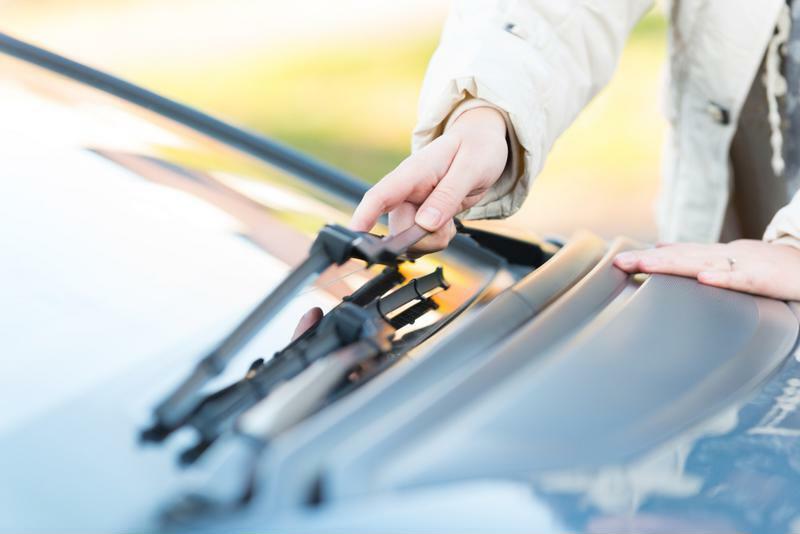 Replacing your windshield wipers can be as easy as lifting the old blades, pushing the removal tab and attaching the new blades to the metal arms. Replacing your own windshield wipers can be a simple, inexpensive task. Depending on the make and model of your car, Edmunds said this maintenance service can cost anywhere between $17 and $132 if you go to a mechanic. Save yourself the trouble of stressing out over this high-cost task and head to the nearest automotive parts store and buy them for a fraction of the cost. All you'll need is 30 minutes of your time and a screw driver. Read the electrical chart in your owner's manual to find the correct fuse you're replacing. "Changing your own air filter will only cost about $15." Don't waste your precious hours waiting around at the mechanics to get your air filter replaced. U.S. News said changing the air filter in your car will only cost you about $15 and 10 minutes of your time. Simply pop open the hood and locate the air filter. When removing the old one, make sure nothing fall into the bottom of the filter box. Insert the new filter, close the case, secure the nuts and you'll be all set. You may not think about this maintenance service very often, but making sure your battery connection is operating properly is extremely crucial, especially with the winter months approaching. There's no need to schedule an appointment with a mechanic only to be waiting an hour for him to make sure your battery is maintained. U.S. News said If you do it yourself, it will only cost $5 dollars and will take about 20 minutes to complete. Start by removing the negative cables of your battery first, followed by the positive cables. Next, clean the posts and battery terminals using a $5 wire brush and a mixture of baking soda and water. Rinse the cleaning fluid with water, dry with a rag and re-install the battery terminals by starting with the positive cables. Taking care of a car doesn't have to be a hassle and neither does purchasing a new car. 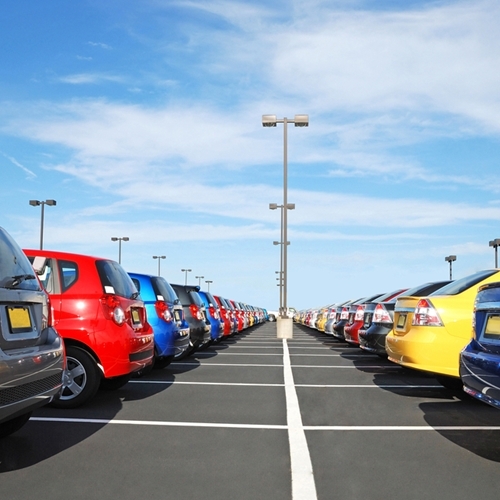 If you're ready to invest in a high-quality used vehicle, check out NJ State Auto Junction. Driving through the harsh conditions of the winter can be hazardous and intimidating, especially when there's snow and ice involved. Unfortunately, the treacherous weather can lead to unstable driving, which can put you into a snow bank. Though you may not be able to stop the blizzards from taking over the roads of the cold months, there are still ways to prepare yourself and ensure a safe and stable drive. Strengthen the safety for you and your passengers this winter with some of these helpful driving safety tips. Though you may not feel like spending the money, it's always crucial to give your car a check-up before the first big blizzard rolls in. Car Talk suggested getting your bad hoses, belts, water pumps and spark plug wires replaced before it's too late. Also, make sure your battery, charging system and tire pressure are all in great condition. The source said tire pressure can drop by one pound per ten degrees in temperature, so making sure the pressure is adequate can help your car's handling on the slick roads. Standing roadside for a tow truck during a winter storm doesn't exactly sound like much fun, so spend your money wisely and get the dirty work taken care of early. This rule goes for all driving, but it's especially important to be well-rested before driving in the snow. The American Automobile Association Exchange said to avoid driving while you're fatigued to reduce driving risks in bad weather. Traveling in severe weather takes lots of concentration and patience, so it's important to be of a clear, straight mind while driving. Make sure you get a full night's sleep if you're aware of a blizzard happening during your next commute. Always prepare yourself for your commute if you know the roads will be slick. Driving through a blizzard isn't nearly as simple as driving on a clear, sunny day. 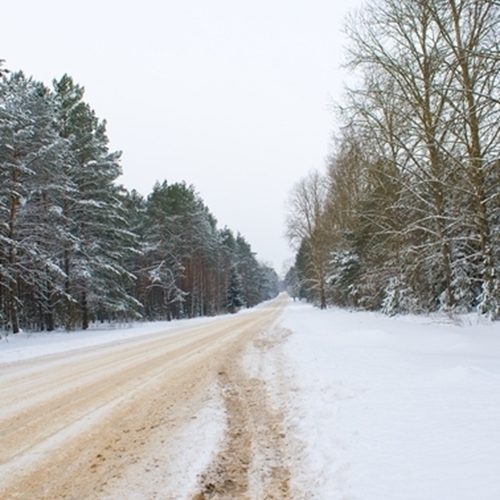 The U.S. Occupational Safety and Health Administration suggested planning your route to prepare yourself for your commute during a winter storm. Check the weather in advance to figure out the best time for travel and map out the direction you will be headed. If there is an alternate route that seems safer than your usual one, consider taking the clearer course. Be sure to let others know the route you decided to take and your expected time of arrival to ensure your safety. "Let others know your estimated time of arrival before leaving." When it's time to hit the road, driving slow is important when the roads are slick. AAA said applying the gas slowly when accelerating is the best way to gain traction and avoid skidding on ice. Take your time, because everything takes longer for everyone on the snow-covered roads. This includes all aspects of driving: accelerating, stopping and turning. When it comes to stopping, avoid it if possible – but certainly not at stop signs or stop lights. The amount of inertia it takes to start moving after stopping can play a big role in how smooth your drive can be, so roll through the traffic patterns as much as you can. Running out of gas during a winter storm can be a huge issue. Not only will it leave you stranded, but it also takes away your source of heat. It's crucial to keep your gas tank as close to full as possible during winter storms to avoid running out of gas. Play it safe this winter and keep an extra gas can in your truck in case of an emergency. Nobody wants to stand roadside waiting for a tow-truck on a harsh, cold winter night. If you have a rear wheel drive vehicle, you may want to consider putting a bag of sand in your car behind the rear axle. The weight of the sand bag can help increase the traction of your rear tires, which can be helpful when driving on extremely harsh and snowy roads. Car Talk said the rear axle is located toward the front of the trunk, right between the two rear wheels. Check out NJ Auto Junction for a variety of great quality pre-owned car to get you through this winter. With the cold, bitter months of winter quickly approaching, blizzards will soon be ruling the forecast. That being said, it's time to get your car ready for the slick, snow-covered roads. You may have prepped your vehicle with maintenance checks and oil changes, but have you considered investing in winter tires? Though you may not have thought about buying these winter-driving life savers, they may be worth spending your extra holiday cash on. Winter tires may take a penny or two out of your holiday budget, but they could really save you in the long run. Here are a few reasons why you should invest in winter tires this year. "Winter tires are designed for cold climates, too." Even if you don't normally experience bad snow storms during the months of winter; it is still smart to equip your car with winter tires. According to Autoblog, these tires do not only have exponential tread pattern designed specifically for extra traction on ice and snow, but they are also designed with a softer rubber to enhance the grip on colder roads. That is why it's important to put on your winter tires even before the first snowfall, because the cold climate has an effect on your driving, too. A good rule of thumb is to change the tires as soon as the temperature drops to 40 degrees Fahrenheit and stays there consistently. Any warmer and your tires will wear out quicker. It's common to assume that if you have 4-wheel or front-wheel drive that you will be safe enough for the winter. Unfortunately, that is not enough while driving in harsh road conditions. The Car Crash Detective said that all wheel drive is helpful when you need to get out of a situation where you may be stuck, but it doesn't help you with stopping or steering. Because of the intense traction in winter tires, your ride along slick and snowy roads can be much safer if you need to stop quickly. While all-wheel drive can help you maneuver out of a snow bank, the winter tires will help you stabilize your drive once you're back on the road. Winter tires have maximized traction to help keep you stable on the roads. Some people may think they don't need winter tires as long as they stay off of the roads during the harsh blizzards. In a perfect world, you'd be able to stay home any time the snow rolls in. Unfortunately, that's not the case. You still have to go to work, the grocery store and to pick up the kids from school while it's snowing outside, so avoiding the snowy roads at all times isn't always possible. On the other hand, some may say they can get away with not investing in snow tires by simply driving slow on the roads. The Car Crash Detective said there are many road conditions that are just beyond the skill of the driver who doesn't believe he or she needs snow tires. Driving under the speed limit can cause more harm than good, unfortunately. By investing in snow tires, the heavy traction can help you drive the speed limit on the road no matter how slick they may be. While investing in winter tires may seem like an extreme investment, they can be worth it in the long run. The only catch: You need to take great care of them. What you get out of these bad boys will be exactly what you put into them. For example, if you leave them on year round, the warmth and UV exposure of the summer months will age your tires. Automobile magazine suggested storing your winter tires properly to maximize the uses you get out of them. This means locking them indoors away from light and heat. This can ensure you'll get at least a few seasons out of them. If you're searching for a quality pre-owned car to help you drive through the harsh conditions of the winter, check out NJ Auto Auction. Let's be honest: Nobody likes pumping hard-earned cash into their gas tank. Unfortunately, avoiding the gas pump isn't exactly an option. Although you may not be able to save yourself from ridiculous gas prices, there are many ways to make your fuel last. The way you drive and take care of your car has a big effect on the amount of fuel you use, according to the U.S. Union of Concerned Scientists. 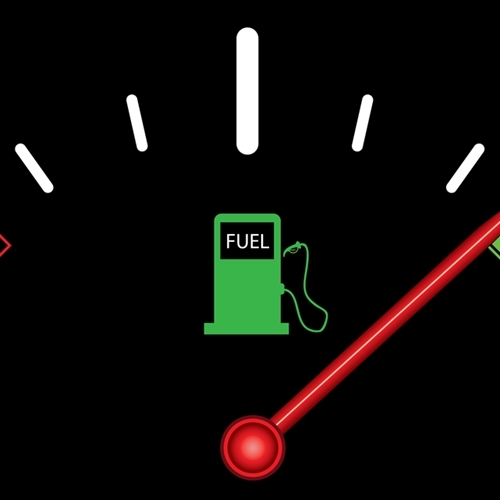 Keep yourself from pouring all of your money into your gas tank this month by following these easy tips for maximizing your ride's fuel economy. The UCS said cars consume less fuel and run best when they are maintained well. This means getting regular oil and filter changes, spark plug replacements and tire rotations. By taking good care of your car, you can prevent future damage and also improve the fuel economy. Check your vehicle's owner's manual to figure out when each maintenance appointment should take place. Slow down – save the fast driving for the race car drivers. The Consumer Energy Center of the California Energy Commission said all vehicles lose fuel economy when driven at speeds above 55 miles per hour. As for highway driving, going 65 mph instead of 75 mph reduces fuel cost by 13 percent. Avoid driving aggressively to save fuel in both the city and on the highway by driving the speed limit. Drive the speed limit at all times to avoid burning gas too quickly. For drivers with an iPhone, Forbes magazine recommended using the Maps App to check traffic before leaving the house. By doing this, you can plan an alternate route and avoid wasting gas from idling during your commute. Also consider using a smartphone app that finds the cheapest gas in your area, such as GasBuddy. Not only will this save you money at the pump, but it will also keep you from wasting your time trying to find the best gas prices in your area. Unfortunately, your engine uses a little bit of gasoline at its initial start-up. According to the UCS, letting your engine idle for more than a minute can burn more gas than turning off your engine and restarting it. Avoid idling by checking traffic in advance, or considering purchasing a car with "stop-start" technology that automatically turns off the engine when you brake. "Grab a friend and drive to work together." If you have a friend whose business is close to your office, consider carpooling with them to get to work. The Consumer Energy Center said sharing a ride to work with friends is an effective way to double your fuel economy. Alternate every other week for driving with your pals to save the both of you money on gas. The UCS recommended parking in the shade during the summer. Not only does this keep your car cooler during warm temperatures but it also minimizes fuel evaporation. Park in a garage or under an awning during the summer if possible. This is an easy way to save you money at the gas pump. If you're looking for an affordable, fuel efficient car, check out NJ Auto Auction. There, you'll find a wide variety of Carfax-certified cars, leaving many options to help find the perfect car that suits your need for a fuel-efficient vehicle. Buying a car is stressful, especially if you've never done it before. There are so many things to take into account – some of which you may not even be aware of until you sit down and start talking to a dealer. If you aren't careful, rushing into the buying process can be less than enjoyable. Fortunately, all it takes is a little preparation and foreknowledge to avoid some of the more common first-time buying blunders and ensure that you drive away with a great car for the right price. Take the following steps the next time you're buying a car to ensure that you get the best possible deal. Once you get to the dealership and find yourself surrounded by great-looking cars filled to the brim with bells and whistles, you may get caught up in the experience and find out later that you paid for a bunch of unnecessary extras. Succumbing to the lure of bonus add-ons like on-board GPS systems, rear-view cameras and sunroofs isn't uncommon, but you can prevent this from happening to you by having a clear understanding of exactly what you need in a car before you shop. Deciding ahead of time which features you need – and which you don't – will allow you to price various models yourself before shopping, so you can have a better idea of what you can expect to pay for the features that you actually need. The amount of the car buying process that actually takes place at the dealership is quite small. Ideally, you should do most of the work ahead of time. Useful sites like Edmunds or Kelley Blue Book offer motorists the chance to compare makes and models side by side, and even see what people are spending for comparable cars on average. This is also important to ensure you get a fair deal on your trade-in of your old car, if you have one. "Financing is one of the most intimidating aspects of buying a car." Financing is one of the most intimidating aspects of buying a car, especially for first-timers. The good news is there's no one "right" way to approach it. If possible, you may wish to consider trying to get pre-approved for a loan at a bank. This can help you negotiate when it's time to sign for your new car, as it guarantees you a certain amount of spending power up front, though it typically requires a decent credit score to secure this kind of financing. Even if your credit score is not exactly a point of pride for you, there are many other options you can pursue. Dealer financing is popular, since these options tend to provide more options and flexibility. If you're considering dealer financing, be sure you read the fine print and don't leave anything up to chance. For example, be sure to ask what happens if you make a late payment – you may be surprised to find that many dealers can offer flexible payment plans for the times you come up short. Remember, dealers would rather you keep your car and keep paying down your loans – even late – than to repossess it and lose out on the rest of your payments. 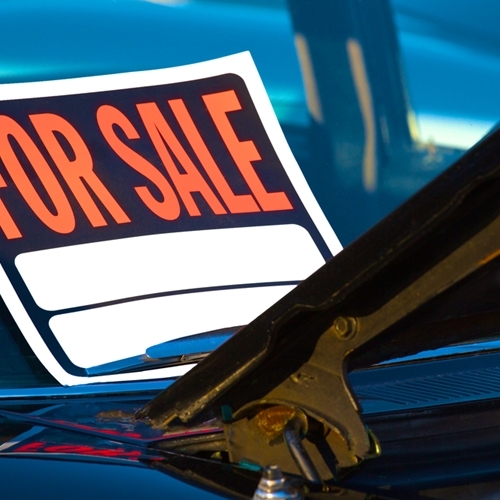 If you're ready to purchase a high-quality used car, head to NJ State Auto Auction. You'll find hundreds of Carfax-certified cars on the lot, and a helpful in-house financing team that is on hand to assist you with securing a loan.